A Newfoundland First Nation is challenging Ottawa's awarding of a lucrative Arctic surf clam quota to a rival Indigenous group. The case is exposing divisions among First Nations and the behind-the-scenes jockeying by seafood giant Clearwater. One of the Trudeau government's signature acts of Indigenous reconciliation is being challenged in court, exposing the fierce competition between First Nations for a shellfish quota worth millions — and the jockeying by one of Canada's leading seafood companies to keep control of the fishery. Hundreds of pages of records filed in Federal Court offer new insight into the controversial decision in February to award 25 per cent of Canada's Arctic surf clam quota to Five Nations Clam Company, led by Elsipogtog First Nation of New Brunswick and its industry partner Premium Seafoods of Arichat, N.S. 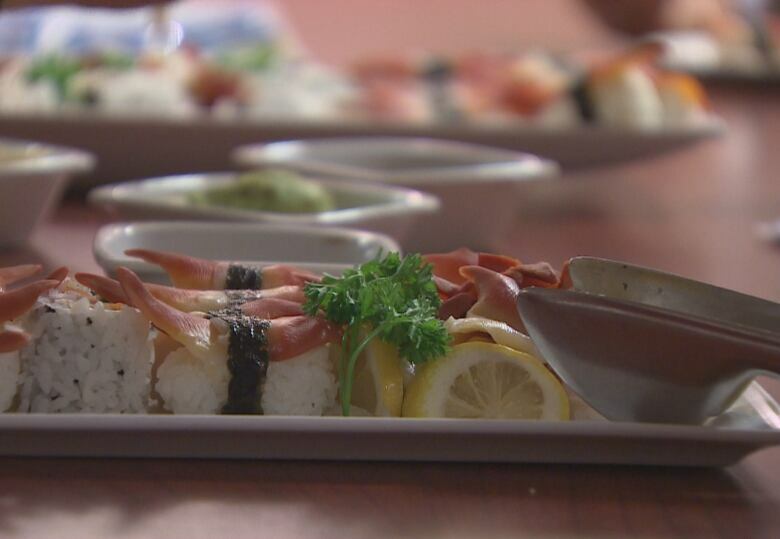 The bright red tongue-shaped seafood is exported to Asia for sushi, and the new First Nations quota — some 9,600 tonnes a year — is a prize worth tens of millions of dollars. 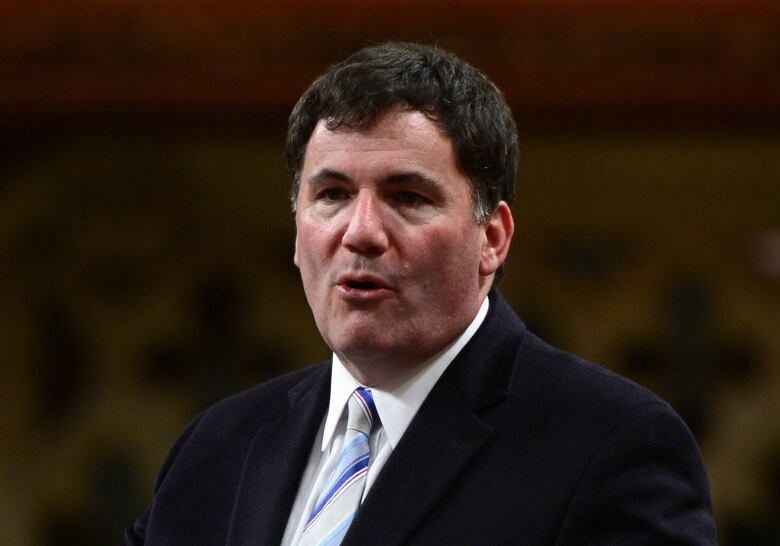 Now, one of the losing bidders, Miawpukek Mi'kamawey Mawi'omi First Nation, is asking a judge to quash the decision by Fisheries Minister Dominic LeBlanc. The band, based in Conne River, N.L., argues the winner should have been disqualified because it did not have all its partners lined up at the time it was selected. 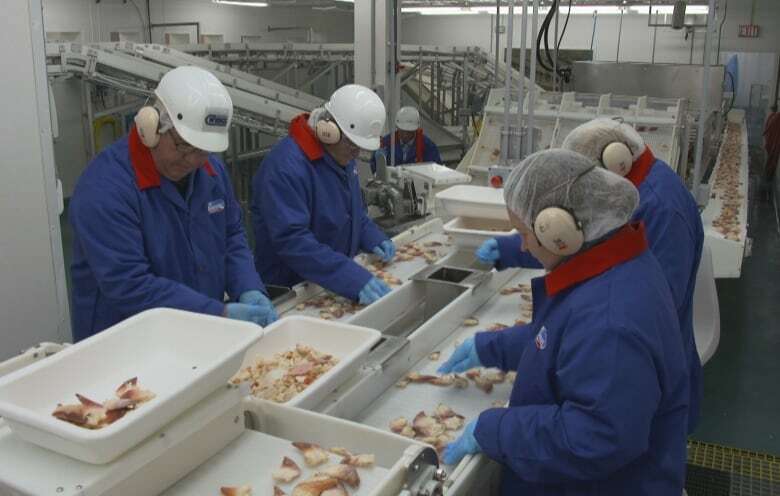 The federal government announced last fall it was creating a new Arctic surf clam licence and would take a quarter of the overall quota from Halifax-based Clearwater Seafoods, which had held a monopoly over the fishery since 1999. The Trudeau government said it would award that licence to an "Indigenous entity" as part of an initiative to create "middle-class jobs" for First Nations people in all four Atlantic Canadian provinces and Quebec. Ottawa received nine proposals. The contenders all involved arrangements with established seafood companies. The court records filed last month by the Department of Fisheries and Oceans reveal that winning applicant Five Nations is only 25 per cent Indigenous owned, with the remainder in the hands of Premium Seafoods. The documents also disclose confidential dealings between Clearwater and DFO as the company, in sometimes remarkably blunt language, manoeuvred behind the scenes in a failed effort to protect its investment in a fleet and processing, which it estimates at $225 million. 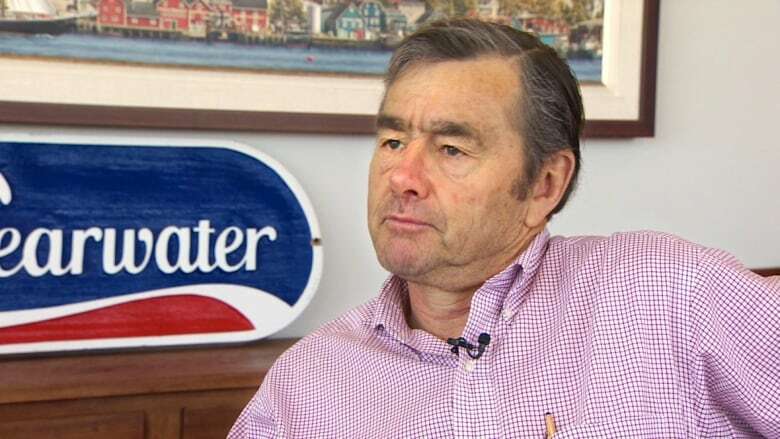 Billionaire Clearwater co-founder John Risley secretly offered in May 2017 to give up two of the company's four clam licences on the condition DFO ensure that whoever took them over would have to use Clearwater to harvest, process and market the product. "If the policy objective is to diversify ownership, we are committed to finding constructive solutions," he said. "If it is to satisfy those who seek to grow their own interests at our expense we have a problem." 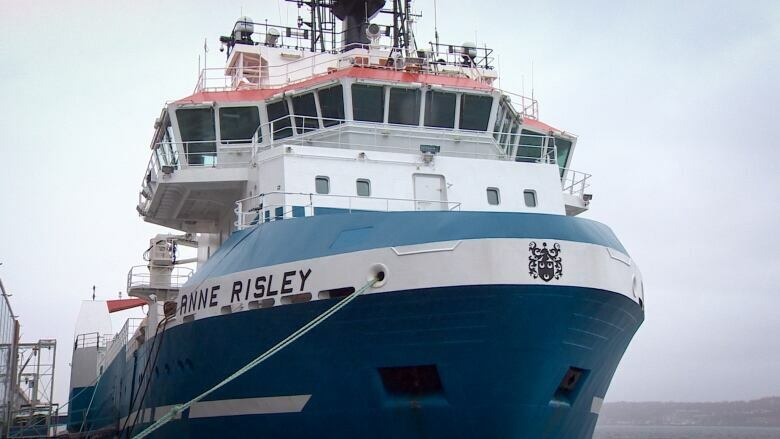 In the same letter to the fisheries minister, Risley also expressed his hopes and frustrations about the East Coast fishery in general. "We had an all too brief discussion on the future for the East Coast fishery and how we and others in the industry might contemplate what that future might look like and to then structure a plan designed to move this industry, myopic and backward as it is, into the innovative, skilled, job-creating machine it can become," Risley wrote. Ten months later, the licence was awarded to Five Nations. Clearwater immediately threatened legal action, although it has not taken any so far. Its allies are also unhappy. Loss of jobs in Grand Bank, N.L. The mayor of Grand Bank, N.L., where all Clearwater's Arctic surf clam is processed, has blasted the licence decision. His community would lose jobs, Rex Matthews said. "This isn't creating one new job at all. All it's doing is taking full-time jobs from Grand Bank and making them part time, and putting other part-time jobs in Nova Scotia," Matthews said. "If that's the minister's answer to reconciliation then I don't see much hope for the reconciliation process." 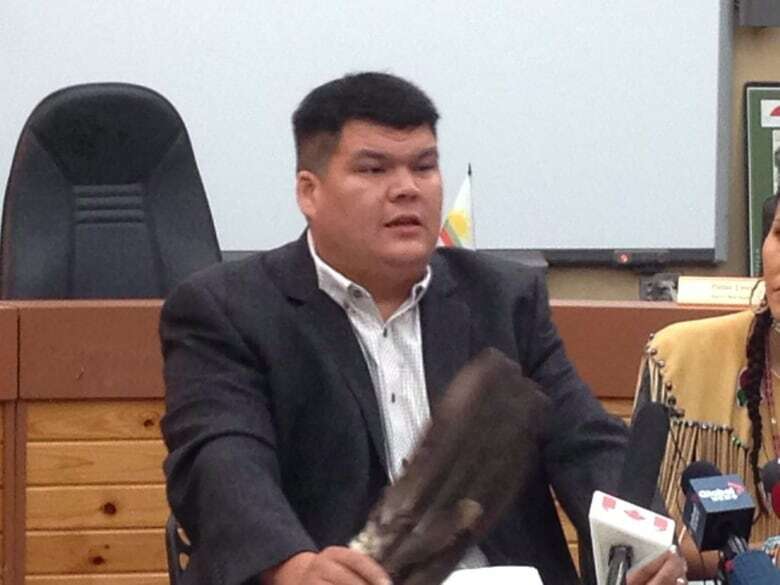 Chief Terry Paul of Membertou First Nation on Cape Breton said all 13 Nova Scotia bands teamed up with Clearwater to bid for the licence and were "extremely disappointed" by the federal government's decision. Paul was later "surprised" when it was revealed one Nova Scotia band — Potlotek — had quietly defected to join Five Nations after the licence was awarded. After DFO signalled it was looking to end Clearwater's monopoly, company CEO Ian Smith wrote to LeBlanc in May 2017 to express Clearwater's "deepest concern." He warned it would set a "negative precedent that would compromise the ability of Canadian resource-based industries to raise capital for investment in science, technology and business development." The letter contained a protest the company would publicly issue this year after it lost out. "Any expropriation of Clearwater licences or divestiture process which is not consistent with market-based principles would be inequitable and prejudicial to the interests of Clearwater, its employees, shareholders and lenders," it said. Five Nations issued a statement to CBC News from its president Chief Aaron Sock of Elsipoptog and Edgar Samson, president of Premium Seafoods. "The Five Nations Clam Corporation has agreed to a business arrangement that we feel is both fair and reflective of our long-term vision for this venture together," the joint statement says. "In addition to direct benefits, this partnership will create high-paying jobs, which are direly needed. This will increase the quality of life for members of our communities throughout Atlantic Canada and Quebec." They said they only learned they had been selected on Feb. 21, 2018. 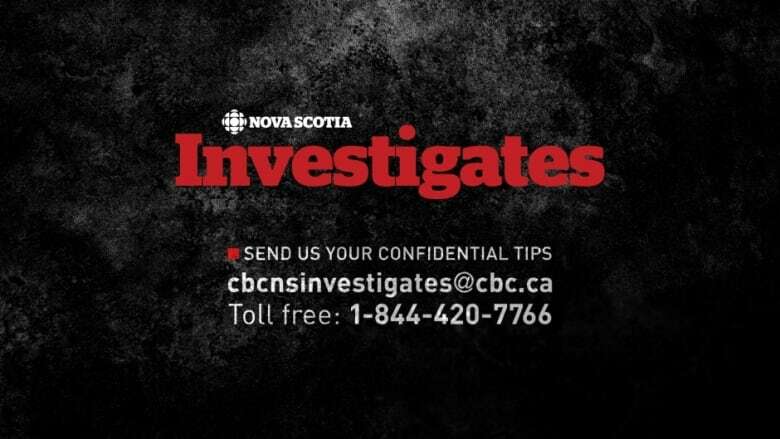 CBC News reached out to Clearwater Seafoods, but got no response. A lawyer for Miawpukek First Nation said a statement on the case is expected this week. DFO declined to comment. The Federal Court challenge will turn on the claim the winner did not meet a "priority criteria" that an applicant represent an aggregate of multiple Indigenous communities. Miawpukek claims when the licence was awarded, Five Nations consisted only of the Elsipogtog First Nation, which is located outside Moncton, N.B., with an invitation to other First Nations to join. 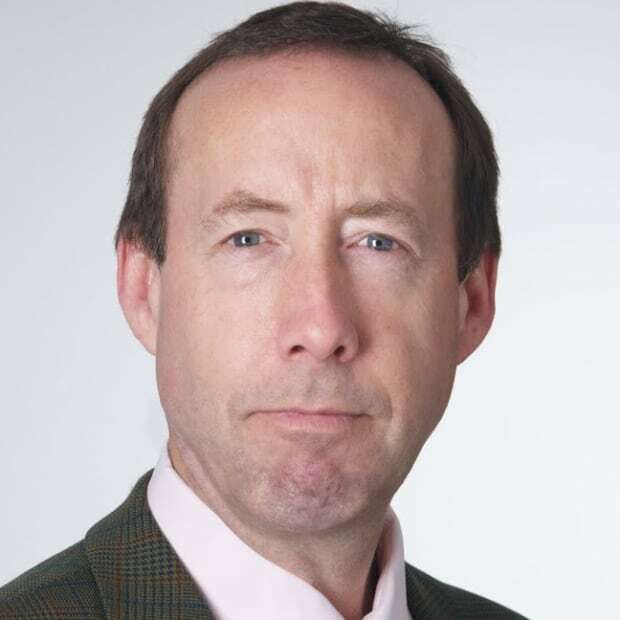 "Had the applicant been informed that the priority criteria could be met after being awarded the licence, like Five Nations, it could have recruited Indigenous communities from the other Atlantic provinces and Quebec," Miawpukek lawyer Robert Janes wrote in the March 23 application. 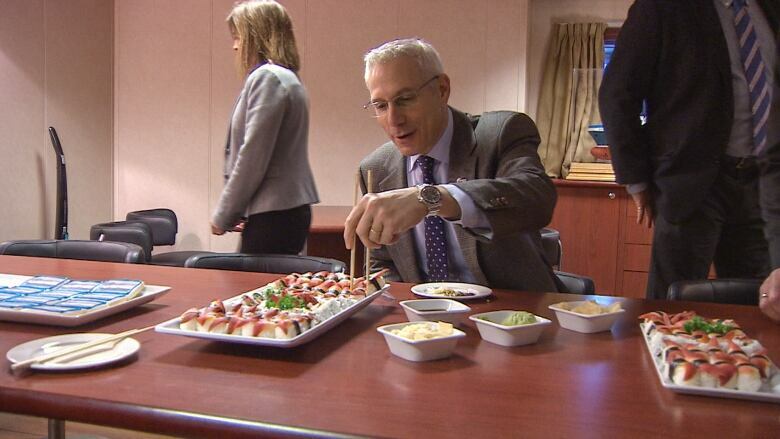 Newfoundland and Labrador Fisheries Minister Gerry Byrne has made the same objection. LeBlanc has deflected the criticism, saying other proposals also had placeholders for unnamed Indigenous partners. The court documents identify only one other proposal — the Pan Atlantic Partnership with St. John's-based Ocean Choice International — with spots reserved for unidentified Indigenous partners. The DFO documents also make clear Five Nations had a second partner from the start, the Natashquan Innu from Quebec. Still, in his Dec. 1, 2017, ministerial decision document selecting Five Nations, LeBlanc scrawled: "Please take next steps with [Five Nations] and ensure that additional Indigenous communities are quickly confirmed." In fact, the winner was not announced until Feb. 22 and the final three First Nations were not publicly identified until March 8. The documents filed by DFO include copies of the nine proposals and the department's assessment of each one. The Five Nations assessment noted "little evidence" of how the company will develop markets for its Arctic surf clam. It also shows the company had no boat of its own and needed the fisheries minister to authorize the use a foreign vessel in order to harvest this year. Five Nations was able to demonstrate its partnership structure, a breakdown of how profits would be shared and included its agreement with Premium Seafoods. But it was not the only proposal with that level of detail. So too did Pan Atlantic Partnership, which was made up of Indigenous groups in New Brunswick, Labrador and Quebec. However, its profit sharing was far more generous for the Indigenous partners, who would get 75 per cent of profits. Both it and Five Nations promised to create 150 new jobs, the most of any entrant. Five Nations estimated annual revenues of $29.5 million. Participating Indigenous communities will share $1.23 million per year for five years. They have also pledged to plow back $600,000 per year into their local fishery efforts. There is an option to increase Indigenous ownership in the company to 50 per cent once industry partner Premium Seafoods pays down its $24-million capital investment, although there is no timeline. The Nova Scotia Mi'kmaq partnership with Clearwater promised an estimated $2.2 million a year of wages in Mi'kmaq communities and a "total impact" of $315 million, although the time period was not specified.